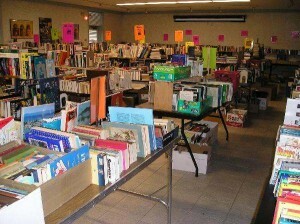 The Friends of the Brookfield Library’s Annual book sale begins this Thursday, October 3rd. Thousands of books for adults, teens, and kids! Shop non-fiction, fiction, mystery, romance, horror, biography, gardening, history, sports, and lots more. The sale is not just for books! There will also be movies on DVD, audiobooks, and music CDs. Thursday, October 3: 9 a.m. to 5 p.m.
Sunday, October 6: Noon to 5. Monday, October 7: 9 to 5. Any remaining items are free. The sale will be held in the Community Room of The Brookfield Library, 182 Whisconier Road (Route 25, across from Williams Park), Brookfield, CT 06804.